There are different types of visa that the Philippines is offering to foreigners who wish to stay for a longer period in the Philippines. 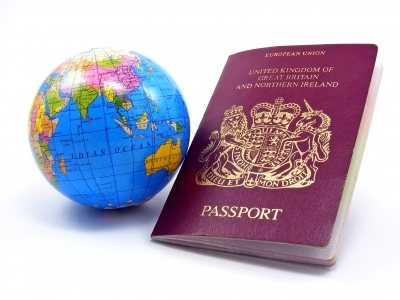 These visas vary depending on the purpose of the foreigner’s stay in the country. For executives who will spend most if their time in the Philippines to manage a business operation, there are visas for economic zones such as the Philippine Economic Zone (PEZA) or Cagayan Economic Zone (CEZA) which are available if foreign executives intend to work within the foregoing ecozones. Visas being issued through ecozones are already multiple entry which allows foreigners to go in and out of the Philippines without restrictions. The Pro-Investment Visa Upon Arrival is available to foreign investors, businessmen or entrepreneurs who have obtained an endorsement from the the Board of Investments, Philippine Retirement Authority, Philippine Chamber of Commerce and Industry, local business councils or local and foreign chambers of commerce and industry. This type of visa can likewise be availed of athletes and delegates to international sports competitions, conventions and delegations or conference. Foreigners who are employed in a registered multi-national company with corporate presence in Philippines who have been granted this visa upon arrival will be granted a three-month initial stay which is extendable for a series of 6 months. Visa upon arrival entitles the executives to multiple entry which enables them to go in and out of the Philippines without the hassle of applying to each time they go to the Philippines despite the short intervals of their trip. Applicant shall be charged a visa fee of US$100 and Php10 .00 legal research fee. Foreigners’ dependent spouse and unmarried minor children may be included in this visa. How About Businessmen who are not Employed in Philippine based Multi-national Corporations, can they still avail a visa upon Arrival? Under this program, foreign businessmen who are not employed by multinational firms are entitled to single entry privilege.Applicant shall be charged a visa fee of US$25 and Php10.00 legal research fee. Should they wish to extend their stay, they should apply for another type of visa, depending on the purpose of their stay, prior to the expiration of their 30 day stay as temporary visitors. If the foreigners are willing to invest US$75,000.00 in the Philippines , then SIRV is the appropriate visa for them. However, under this program , foreign nationals who intend to invest in Philippine tourism through investing in tourist related establishments and development of retirement parks of the Philippine Retirement Parks System are only required to invest US$50,000. What are the requirements for SIRV? 3. has not been institutionalized for any mental disorder or disability. Proof of remittance in acceptable foreign currency to the Philippines is required. Ownership of shares of stocks in either existing corporations: publicly- listed companies, companies engaged in Investment Priorities Plan (IPP) projects, or companies engaged in the manufacturing and service sectors; or in new corporations: companies to be engaged in the manufacturing and service sectors, or companies to be engaged in IPP projects are accepted as eligible forms of investment. The applicant’s spouse and unmarried children under twenty-one (21) years of age may also be issued the same visa. The visa of a dependent of the SIRV holder shall be co-terminus with that of the principal and/or be automatically cancelled upon his reaching 21 years of age and/or marriage. Are there other requirements that need to be complied with? 1. Applicants under tourist related investments are required to visit the country at least twice a year and stays in the country at least seven (7) days for each visit. There shall be annual report in which the pieces of evidence that prove that he has maintained his investment in the country are embodied. The investor, his wife and unmarried minor children shall be permitted to enter and reside in the Philippines as SIRV holders provided that the investment is maintained. The co terminus nature of the SIRV with the investment also holds true to SIRV issued to investors who have invested in the development of retirement parks of the Philippine Retirement Parks System. Another option is the Special Retiree’s Resident Visa (SRRV) in which a foreigner applicant can be registered as a retiree with the Philippine Retirement Authority (PRA), or be registered with the Board of Investments. 1. At least 50 years of age and is required to stay in the Philippines. 2. Deposit US$ 50, 000 in a accredited bank by the PRA. Under the SRRV the foreigner’s spouse and/or legitimate or legally adopted unmarried child under twenty-one (21) may be given an indefinite status if they are accompanying the foreigner-applicant or joining him soon after his admission in the country. There will be an additional deposit of US$15,000.00 or any equivalent acceptable foreign currency for each additional legitimate or legally adopted unmarried child under twenty-one (21) years of age. How long will an applicant wait for the release of SRRV? If all requirements are complete, the SRRV can be released within one month from the submission of all documents.